Over the years, we’ve become widely known for putting on the best real estate events that Pakistan has ever seen, and the upcoming Zameen.com Property Expo 2016 (Islamabad) will be no different. As the first property affair of this scale in the federal capital, this expo is bound to be spectacular … and you don’t want to miss out. So take out your calendar and pencil in all the details right now! The mega event will be held at the magnificent Pak-China Friendship Centre on April 9 and 10. Located on G6/2, Garden Avenue, the centre is highly prominent and easily accessible. Like always, your convenience is super important to us! Zameen.com Property Expo Lahore 2015 was a grand success, attracting thousands of visitors interested in various facets of real estate. The event saw an impressive footfall of over 45,000 people, encouraged excellent buyer-seller interaction, and even witnessed the closing of around 100 on-the-stop deals. For this event, too, Team Zameen left no stone unturned in our meticulous preparations. The expo will feature numerous exhibitors catering to different aspects of real estate and home management. So whether you want to buy, sell or rent property, find the optimum investment opportunity, refurbish or renovate your home, or just want to hobnob with likeminded individuals, Zameen.com Property Expo 2016 (Islamabad) has something for you! Still undecided? Here’s a list of some food vendors who will be at the event. All these vendors will guarantee that you remain fully energized with yumy offerings throughout the weekend. Can you really say no to all this deliciousness? 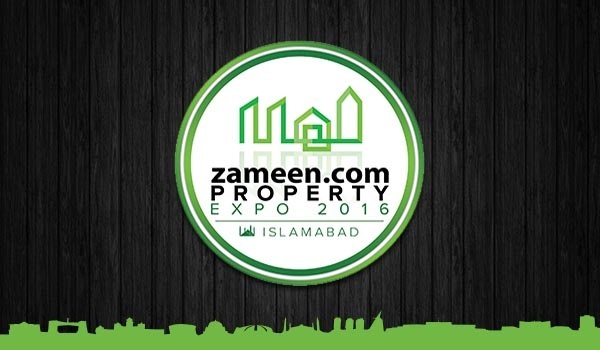 Expected to be bigger and better than ever, Zameen.com Property Expo 2016 (Islamabad) will surely be a major real estate highlight this year, but we cannot do it without you. Join us to make this an exceptional and memorable weekend. So come on … the sophisticated capital, the delightful spring weather, a highly informative and well-organised property event, and amazing delicacies await you!